I will be presenting [TS9518] on the subject as part of the LabVIEW Champions Track at NIWeek 2016 on Wednesday, August 3 in room 15 (don't miss other Champion’s presentations in the same room as well). An alternative title is Writing Better Code Faster. I would greatly appreciate your feedback (and a quick note from those who got the book and/or started working on it) to this thread. How does this book compare to Clean Code by the same author? I do not have the Clean Code book, but based on Contents Section I see that it covers different issues (clean coding) and does not mention Agile OO Design Principles. There is also a The Clean Coder book (A code of Conduct for Professional Programmers) - a fun reading mostly about personal values, team dynamics, etc. I enjoyed your presentation at Ni week. Martin's Agile book arrived in my mailbox today. I enjoyed Section 1 of the book - Count me in your categories of book purchased and started by 2017. - Thanks! I saw your presentation at NIWeek 2016 and found it very interesting. It brought up issues about my code that I knew existed but which I did not know exactly how to address. I have just spent a couple of hours playing with a UML diagram trying to figure out the best way to implement multiple interfaces for a single object thinking terms of SOLID and I realized that I have been shown a path but I have not walked it yet. 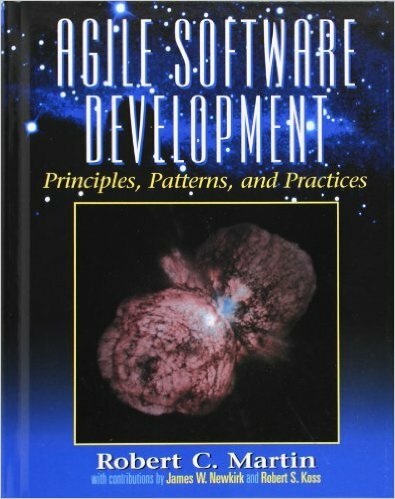 So, I just ordered the book "Agile Software Development" by Robert C. Martin.